Back close non-syllabic vowel [U] behaviour in European Portuguese: reduction or suppression? 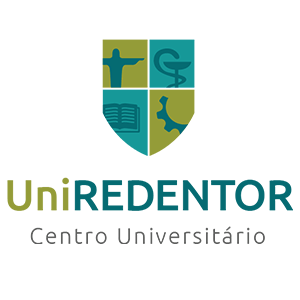 In this paper we analyse and describe the phonetic behavior of the non-tonic back closed vowel [u] in European Portuguese (EP) in what respects its quality and relative duration. Slow and faster speech was used. The objective of this work is to contribute with experimental results in order to obtain a more accurate comprehension of this vowel’s profile, which can be integrated and extended to other non-tonic vowels’ behaviors in the EP non-tonic vowel system. This may represent an important improvement in synthetic speech quality and naturalness, as it concerns acoustical parameters, rhythm and supra-segmental features, which means prosody. This study is inscribed in a project in Speech Synthesis for EP held by an inter-disciplinary group in intimate articulation between the engineering experience and tools and the linguistic approach. Languages can vary considerably according to several factors, namely geographical, social or pragmatic. This paper shall focus on diatopic or geolinguistic variation of European Portuguese, the overall designation that encompasses the dialects spoken both in mainland Portugal and in the islands of Azores and Madeira, as well as by the immigrants scattered through Europe. Starting from the discussion of the dichotomy language versus dialect, we will present the various linguistic atlases designed by Leite de Vasconcelos, Paiva Boléo and Lindley Cintra. Based on Lindley Cintra’s new proposal from 1971, the main isoglosses in Portugal shall be presented and explained in order to allow the distinction of the Galician, the northern Portuguese and the mid-southern Portuguese dialects, the latter being where the islands are included. A final word shall be directed to the Mirandese, the second official language in Portugal. The acquisition of morphophonological alternations is hardly investigated in phonology (Macken 1995, Bernhardt &amp;amp;amp;amp; Stemberger 1998, Hayes 2004, Kerkhoff 2004). Learnability models of phonological alternations often assume that allophonic variation is easy to learn, as it usually follows from the phonology of the language (Peperkamp &amp;amp;amp;amp; Dupoux 2002, Hayes 2004). On the other hand, these models assume that allomorphic variation is acquired late and learners often show paradigm uniformity at the early stages of development. In our study of longitudinal data of seven European Portuguese children, aged between 0;11 and 3;7, we investigate the acquisition vowel alternations and show that children start acquiring those very early. In particular, children even seem to distinguish vowels in neutralized context to a large extent. We argue that children acquire the abstract phonological vowel system of European Portuguese very early, precisely because of the large amount of systematic variation in the input. We will provide empirical evidence for the claim that the phonological processes in the language help children to set up the abstract vowel system of European Portuguese. #português europeu#português brasileiro#bitransitiva#aplicativo#dativo#Applicative#Dative#European Portuguese#Brazilian Portuguese#Ditransitivity. ##European Portuguese#VOS sentences#Prosodic movement#Intonation.##Português europeu#Sentenças VOS#Movimento prosódico#Entoação. 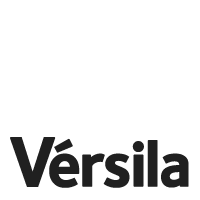 Verb agreement in the third plural person in European Portuguese: variation or semi-categorical rules? ; Concordancia verbal de tercera persona plural del Português Europeo: ¿variación o regla semicategórica? ; Concordância verbal de terceira pessoa do plural no Português Europeu: variação ou regra semicategórica?